If you’ve got a question about Redwings we hope to have it answered below, but if not please contact us. How do I donate unwanted tack to Redwings? We welcome donations of unwanted or preloved tack as it can be a useful way for our farms to recycle usable equipment, as well as raising funds for our horses through tack sales. With 1,500 horses living at the Sanctuary, we operate high levels of biosecurity to reduce the risk of disease and spread of infections, so for second-hand, used tack we kindly ask that it is supplied in a clean and usable condition, bagged or boxed. We also kindly ask that rugs are washed and tumble-dried. If you have any further questions or would like more information about donating used tack, please get in touch here. If you are a UK taxpayer, Gift Aid increases the value of your donations by allowing us to reclaim the basic rate of tax on your gift at no extra cost to you. That means we can claim an extra 25p for every £1 you give! Simply complete a Gift Aid Declaration and we will do the rest! Read more about Gift Aid here. How do I know if I am eligible to sign a Gift Aid declaration? Gift Aid is reclaimed by Redwings from the tax you pay for the current tax year (6 April to 5 April). To allow us to claim Gift Aid, your Gift Aid declaration must not be more than four times what you have paid in tax in that tax year. The tax could have been paid on income or capital gains. Please note, if you pay less Income Tax and/or Capital Gains Tax than the amount of Gift Aid claimed on all your donations in that tax year, you will be required to pay any difference. Can I Gift Aid if I have a joint supporter record? Gift Aid declarations must come from an individual – if you have a ‘joint record’ with a partner or spouse, we can easily set up an individual record for you so just let us know if you are eligible to sign a Gift Aid declaration and we will send one to you! What methods do you employ to raise funds? All communication that you receive from Redwings, from emails to letters or phone calls, all comes from the small team here at our Hapton HQ. We never engage agencies to fundraise for us; that means we do not cold call, knock on doors or hold street collections. We try our best to always be professional and respectful in our fundraising and are members of the FRSB (Fundraising Standards Board), and the IOF (Institute of Fundraising). Redwings Horse Sanctuary is 100% funded by donations from people like you. We receive no government funding, which means every time you donate, you are helping us care for horses and donkeys who have been rescued, as well as helping to prevent more from suffering in the future. This includes providing feed, medication, horse ambulances, welfare officers, care staff, vets, night checks, specialist rehabilitation, tractors, and much, much more. Like all organisations there are also admin costs, but 80p in every £1 you give will go directly towards helping horses. I would like to make a regular monthly donation. How do I do this? Firstly, thank you! Regular donations make a huge difference to how we help horses. You make a regular donation via our website by clicking here or by downloading and completing a standing order form and returning to us by post or email. You can also set up a regular donation via Just Giving. What is the difference between a Standing Order and a Direct Debit donation? With a Direct Debit, an organisation can call-up the funds from your bank – they can also change the amount you give or cancel the payment on your behalf. A Standing Order payment is directed from your bank to Redwings and it gives you 100% control; we cannot amend or cancel the payment, but you can change it at any time you like. I would like to make a donation through my work place/wage (payroll giving). This is a great, easy way to give a donation each month. You can donate an hour’s work, or a set amount with schemes including Workplace Giving and Give as you Earn. Your donation will come directly to us and is tax free! Talk to your employer or contact us if you need more advice! I want to pay a donation with a CAF cheque. Brilliant – please send it to us at Redwings Horse Sanctuary, Hapton, Norfolk, NR15 1SP – ensuring you include your name and address/supporter number. Please make cheques payable to Redwings Horse Sanctuary. Thank you so much! Please send all correspondence to us at Redwings Horse Sanctuary, Hapton, Norfolk, NR15 1SP and thank you! If you would like a receipt just let us know! If we don’t hear from you then we will automatically send you a receipt if your donation is over £50 unless you request not to receive one so that more of your kindly donated money goes towards helping horses rather than on stamps! Why have you changed the days you’re open? As of 25th March 2016 all our visitor centres will be open Fridays, Saturdays, Sundays and Mondays 10am to 4pm all year round (closed Tuesdays, Wednesdays and Thursdays). Reducing our opening hours will not only save valuable funds that we can spend on caring for our horses, but will also allow more time for both visitor centre teams and the equine care teams to complete essential tasks, which means we can spend more time with our visitors when we are open. The change in opening days gives us more time to focus on community groups and ‘special’ visits (such as education institutions) too, which we will be able to do on ‘closed days’. During our closed days, we're also hoping to increase our rehoming operations in preparing our residents to find happy homes outside the Sanctuary and in turn make more room to help many more horses in need. If you are interested in arranging a group visit on one of our closed days, click here. Why can’t we ride the horses when we visit you? The horses you will meet in our visitor centres are unable to be ridden due to ongoing health or behavioural problems, or because they may simply be too advanced in years. All the horses that come to us that are able to have a working life are rehomed through our Guardianship Scheme. Those that cannot are given a permanent home at the Sanctuary and the aim of our visitor centres is to show you how we care for these special residents. They may not be able to be ridden, but they definitely love to be cuddled! Can I bring a dog with me to the visitor centres? Yes! We love dogs! You are more than welcome to bring your dog with you, we just ask that it is kept on a lead at all times. I’m coming to see my adopted horse, can I bring a treat for them? Our horses love treats and you are welcome to bring carrots, apples or ginger biscuits! Unfortunately we are unable to allow visitors to feed the horses themselves but you can hand your treat in at reception and we will make sure it is enjoyed! I am disabled and use a wheelchair, how wheelchair friendly is the site? The accessibility of our sites varies from location, if you look on the specific page of our website for each site and read the ‘access statement’ it gives a detailed overview of the layout. It is also worth noting that the site can change due to weather conditions, with paths becoming more uneven and muddy in wet weather. If you are concerned, we recommend phoning the visitor centre helpline on 0870 040 0033. I’m planning a trip to one of your visitor centres, where can I stay nearby? With five visitor centres located across the country there are lots of places to stay nearby depending on your budget and preferred accommodation. Alongside the following suggestions, we would also advise looking on the Visit England and Visit Scotland websites or booking.com and searching around the local area. The following places to stay are not affiliated with Redwings and we always recommend reading reviews on Tripadvisor as we haven’t verified them ourselves! What is the process involved in rehoming a Redwings horse? All applications are taken online to keep our administration costs down and also because we do not operate a waiting list. Our aim is to find the right home for the individual horse or pony, so we encourage you to view our horses available for rehoming and apply for the one you feel best suits you and your needs. When a horse or pony has received a certain number of applications, it will automatically be marked as ‘Under Negotiation’ while we sort through the applications to find the best possible home for them. You cannot apply for a pony that is Under Negotiation but if no suitable home is found it may become available again in the future. If your application is successful, we will ask you to undergo a home check to make sure you have the necessary facilities for your chosen horse or pony. Following a home check, you will then be invited to meet your chosen horse in its current location, and hopefully it'll be a match made in heaven! Once rehomed, we will visit the horse after three months and again between six and 12 months to ensure they have settled in well and is receiving the correct care. We will retain ownership at all times and reserve the right to take back into our care any horse or pony who we are concerned about. Some of Redwings’ ridden equines are recently backed so please note that they may not be suitable for novice riders. Also, if you are under 18 years old, please ask an adult to fill out the application on your behalf. We can only currently consider homes in Norfolk, Suffolk, Essex, Cambridgeshire, Bedfordshire, Buckinghamshire and Hertfordshire. We aim to despatch orders within five working days of receipt, however please allow up to 21 days for delivery in accordance with the Consumer Contracts Regulations. Why do Redwings horses live out? Our horses live out all year round (unless they are under veterinary care), because this is the most natural lifestyle for them. Horses are by nature outdoor animals and they thrive from the fresh air and exercise that this gives them, not to mention the companionship they get from being with their herd. For our more elderly residents the freedom means they can stretch their legs and exercise as much or as little as they wish, while for the younger horses and ponies, they get to burn off all their excess energy and have fun! Read more about how we care for our sanctuary residents in sanctuary care. 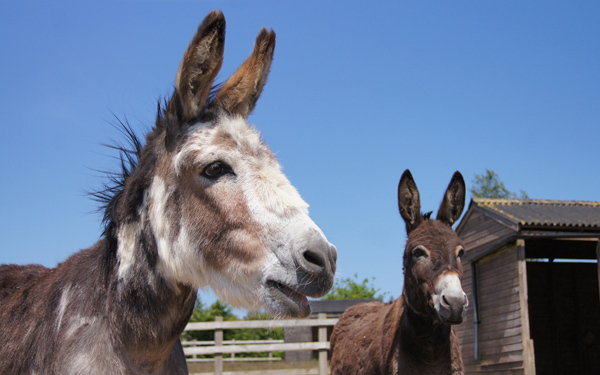 Why doesn’t Redwings rehome its donkeys? Donkeys are very special animals with very specialist needs. We know quite a few people would love to welcome one or two of our long-eared residents into their own home and we have thought very hard about whether to include donkeys on our Guardianship scheme, but because of their particular care requirements, we feel it is best to keep them in the care of the Sanctuary. Many of our donkeys are in their 20s and 30s, and have been at Redwings for some time; they live in close knit, well-established groups and we would not like to separate them from their community and their routine. We also know that our donkeys' popularity extends to Redwings visitor centres and we like to ensure that all our supporters and visitors have the chance to get up close and cuddly with these lovely animals by simply paying us a visit! If you would like to know more about donkeys and the care they need, please read our Donkey Ownership leaflet which you can download. Our horses love treats and you are welcome to bring carrots, apples or ginger biscuits! Unfortunately we are unable to allow visitors to feed the horses themselves but you can hand your treat in at reception and we will make sure it is enjoyed. How can I work for Redwings? We advertise all our vacancies on this site – view our Work for us section. The majority of our staff are paid for their work. This is primarily because they work directly with our rescued horses who can be dangerous or difficult to handle because of their traumatic pasts. Working with them needs lots of training and so it is very difficult to bring volunteers into that environment. However, we do have a fantastic volunteer welfare network, which is really valuable to us and we hope to take on more volunteers in other areas of our work in the future – register your interest by emailing info@redwings.co.uk. Why can we only visit Hapton on special occasions? Our Hapton HQ is not a visitor centre, it is the base for our administration centre and it is also the site of our Horse Hospital and our rehoming centre. It is home to many of our more elderly or poorly residents and some can be very nervous, so they are not necessarily suited to a life in the public eye and really benefit from the peace and quiet that the centre can offer. However, we love to open the gates twice a year so you can have a sneak peek behind the scenes and find out more about our Hapton HQ and what makes us tick! Where did the name ‘Redwings’ come from? Redwings was originally named by our founder, Wendy Valentine and actually has no equine connection at all, being derived from the type of chickens that had been kept on the site where Redwings was established! Are you linked with Redwings USA? Redwings USA are an entirely separate organisation based in California. Their official name is Horse Power Sanctuaries but they chose to adopt the public name of ‘Redwings’ as a thank you to us after we worked with them to help them with their fundraising and welfare programmes. Find out more about Redwings USA. Why are you a national and not an international charity? Redwings was set up in 1984 as it was felt an organisation was needed to care for horses and ponies in the UK – this is our objective as registered with the Charity Commission and with over 1 million horses and ponies in the UK, we still have our work cut out 25 years on! I have an equine that I can’t look after anymore, will Redwings give it a home? Redwings receives around 100 requests every month from people who would like to secure a future for their horse or pony within the Sanctuary. Unfortunately, we simply cannot accommodate this enormous number of equines without seriously compromising the welfare of our residents. Even as the largest horse sanctuary in the UK, Redwings can only care for a certain number of equines and very limited space is available for new arrivals each year. Sadly, there are more than enough welfare cases to keep us very busy and almost constantly full. We believe that this is where Redwings supporters and horse enthusiasts would want our focus to be.There are no easy solutions for unwanted, retired equines and Redwings always advises owners and potential owners to think about and prepare for retirement from the outset. I am worried that an equine I have seen is not being looked after properly, what should I do? Redwings operates a welfare helpline that will talk through any concerns that someone has about a horse, pony, donkey or mule. We would encourage anyone who is worried about an equine to ring or email us, whatever the situation. Calls are entirely confidential and we will help in anyway we can. However, it can also be useful to read some of the advice and information on our website about equine needs. Redwings has a network of Field Officers across the UK that can assess a situation of potential concern and take the matter forward if need be. We will also contact you to let you know that we are working to improve the situation or explain why no further action is needed or possible. For more information on reporting an equine to Redwings welfare team, view our get in touch section. I have seen an equine loose on the road, who do I contact? Equines straying on or near a road need to be reported immediately to the police, who are responsible for the safety of road users. The police are not usually able to transport or handle the equine but will do their best to prevent an accident and make enquiries to locate the owner. 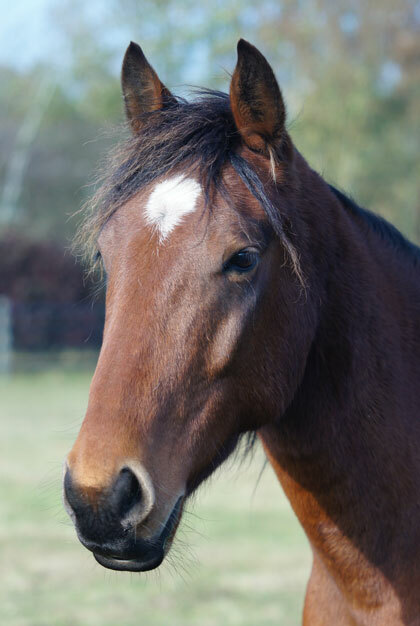 In Norfolk, Redwings has a formal agreement with the county’s police force to collect and board straying equines until an owner can be found, which means that if anyone in Norfolk spots a stray equine, they still need to report the horse to the police, but that they will request Redwings’ help while they try to make contact with the owner. This was the first formal agreement of its kind in the country and has helped many equines since it was set up in 2006. To find the contact number for your local police force, click here and click on the relevant county. I am thinking of setting up a horse sanctuary, what advice would you give me? There is no short answer to this question because of the huge number of factors and considerations that go into running a successful sanctuary. Although passion and commitment are essential to rescuing and caring for equines, they are not enough on their own and it is the practicality and business sense of people involved that are the mainstay of positive equine welfare.You can find out more information about what establishing and running a sanctuary involves or get in touch to talk it over with a member of our team. Can I bring a dog with me to the visitor centre? Yes! We love dogs! You are more than welcome to bring your dog with you to any of our visitor centres, we just ask that it is kept on a lead at all times. Do you sell /accept tack and horsey stuff? Our rehoming team are always grateful for any donations of tack or horsey equipment, and anything they cannot make use of will be sold to raise money for the charity. Please send any donations to Redwings Horse Sanctuary, Hapton, Norwich, NR15 1SP. I have a collection box in my shop, what do I do with it? Once it’s full you need to empty it and take the contents along to your local post office. They can change it for a cheque or postal order for you, which you then need to send to us along with your name and address. We will then send you a receipt and a new label for your box, with grateful thanks! Can I help by rescuing a horse for you? There are laws and procedures in place in the UK for dealing with cases of animal cruelty or neglect and it is always best to call on a professional welfare organisation to assist in such matters. If you are aware of a horse being neglected or in need of rescue, please contact our helpline on 01508 481008. The best way to help Redwings is offer your support and help us to help more horses! However, if you are very keen to take on a rescued horse, why not consider rehoming one of our rescued residents through our Guardianship Scheme? I want to save you money on postage, how do I go about being removed from the mailing list? No problem, please email info@redwings.co.uk and we'll remove you right away. Let us know if you'd rather receive our eNewsletters instead. Do you get money from the Government? No, we don’t receive any Government funding – we are a registered charity and are entirely dependent on donations from the public to keep us running. Can I leave you my horse in my Will?